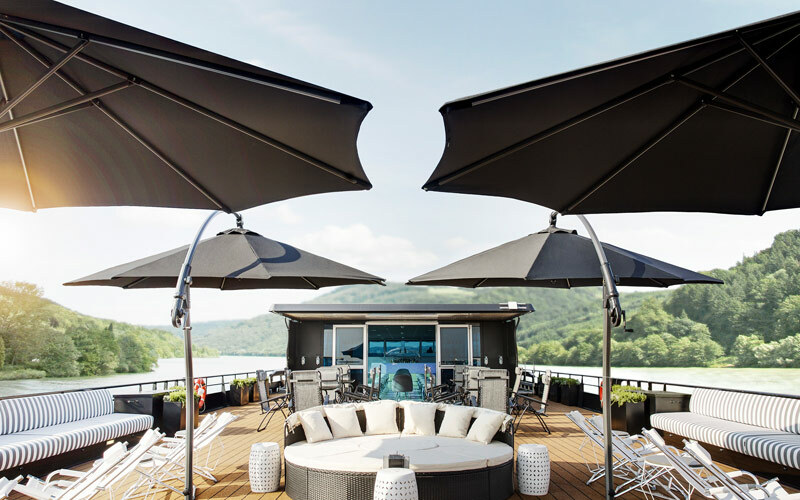 River cruising experts at Uniworld have come together to create U by Uniworld, and some of the best river ships in the industry. 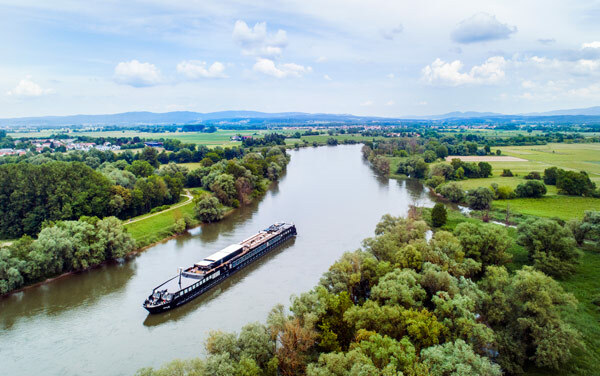 The A is the first ship in U by Uniworld's modern fleet, marking the beginning of a river cruise line that allows each passenger to tailor the voyage to their preferences. 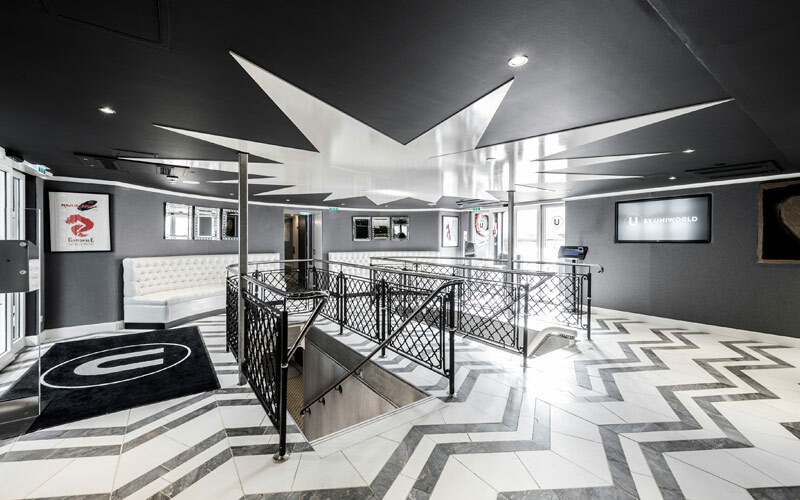 The A is more than just a ship, it's your morning yoga studio, your afternoon lounge space, and your favorite night club all in one. 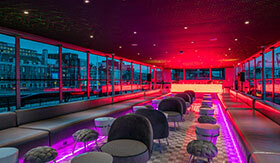 The rooftop lounge, enclosed in glass or completely open air, is the place to be on The A, enjoying a cocktail with new friends and listening to the sounds of a local guest DJ. 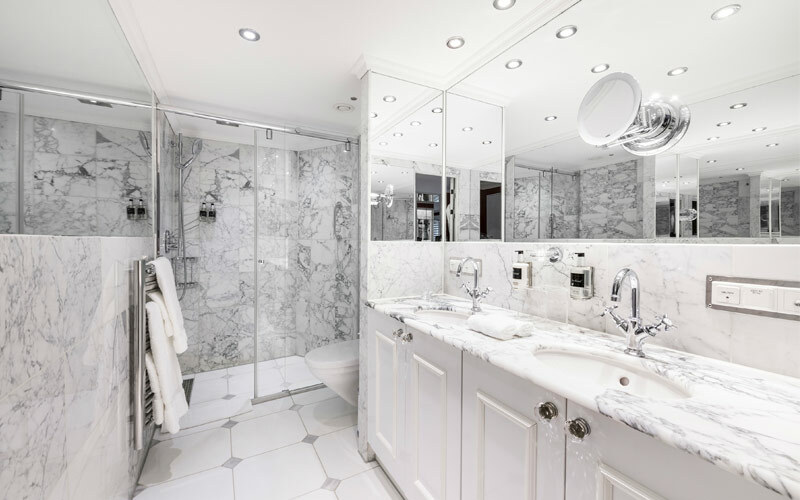 Whether you're looking for a small place to sleep and store your luggage, or a large suite fit for a king, The A has it all, and every stateroom has an incredible river view! 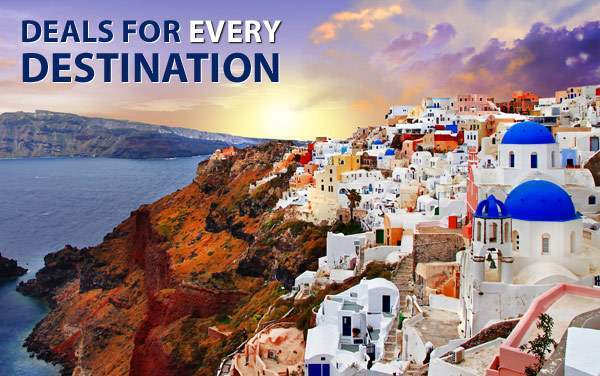 For more information on The A and U by Uniworld, call The Cruise Web today at 1-800-377-9383 to speak to one of our expert consultants. 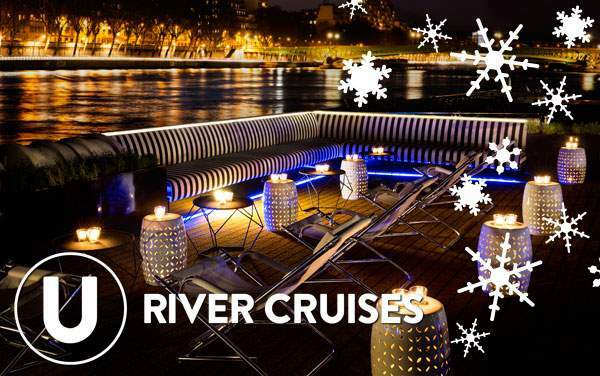 Get the best views while cruising down Europe's scenic rivers at the Rooftop Lounge. 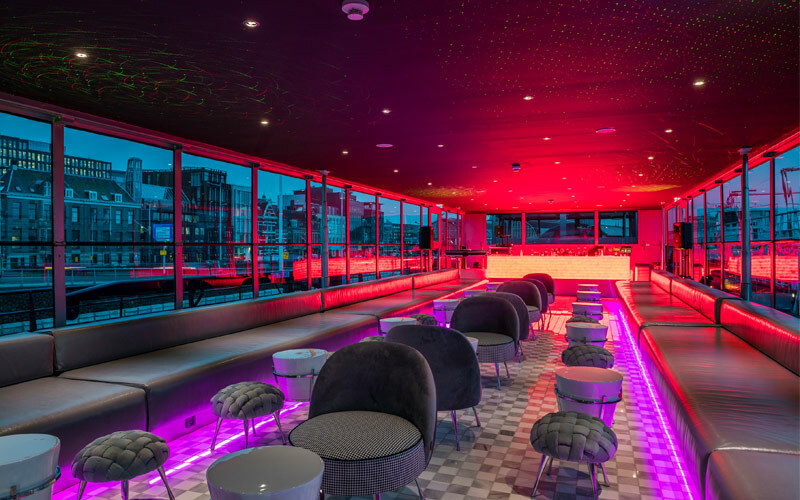 Whether you're enjoying the morning yoga classes or enjoying the music of local guest DJs, the Rooftop Lounge is the best place aboard The A to experience the view while enjoying a drink and new friends. 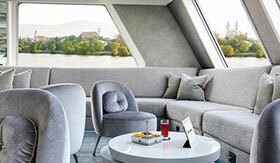 One of the most unique bars at sea, the Ice Bar has walls fit with hydraulics so when the ship reaches a bridge, they simply lower the entire room to make sure it will fit. 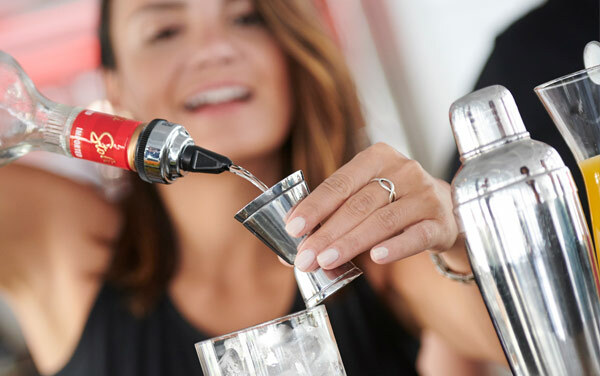 Enjoy craft beers, signature U by Uniworld cocktails, and a wide array of themed parties and music to fit everyone's taste. 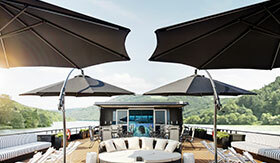 A U by Uniworld exclusive, this is the hub of activity aboard The A. Disembarking? Meet your group at the U Lounge. Need a drink? Stop by the full bar. 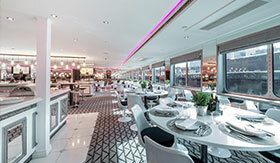 U Lounge is also the home to mixology classes and paint and wine classes. 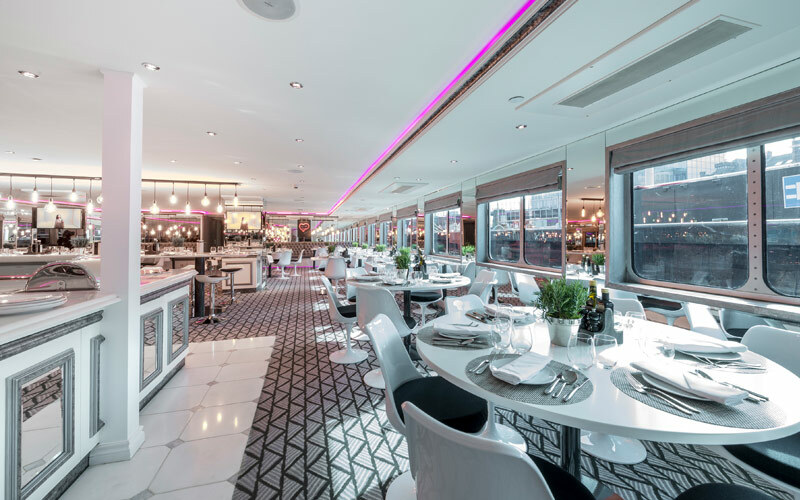 The main dining room aboard The A, DINE is where guests enjoy two complimentary meals per day. Sit with whomever you'd like at the communal tables where you will enjoy farm-fresh cuisine derived from the destinations you visit. 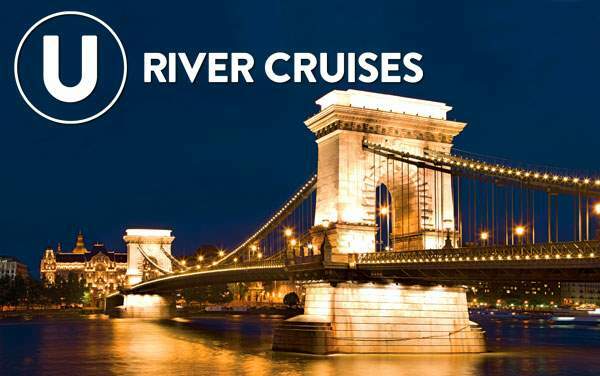 U by Uniworld travel Europe’s rivers to incredible destinations in multiple countries – from buzzing and glamorous cities to rustic retreats. 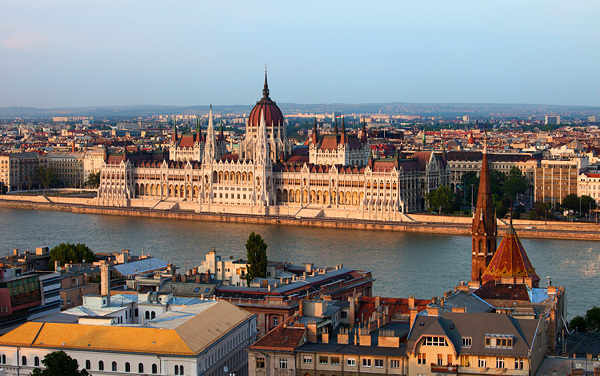 Explore France, Germany, the Netherlands, Austria, Hungary and Slovakia on a variety of itineraries. 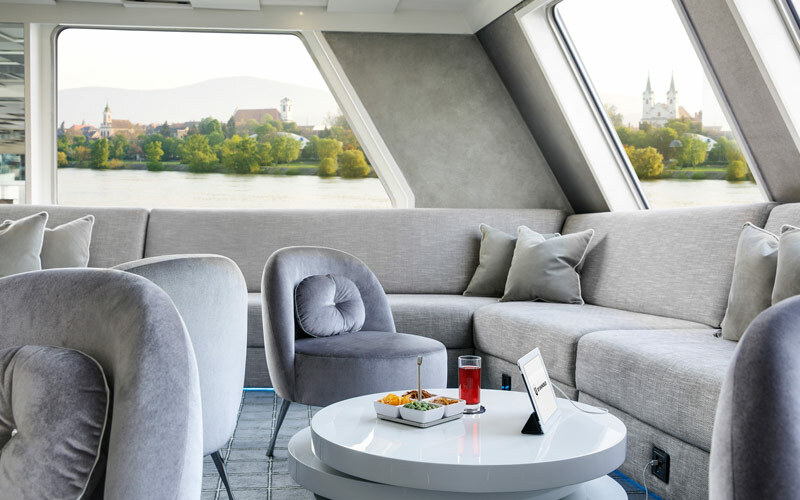 With U by Uniworld’s fresh take on river cruising, even if you’ve already been to a destination before, you get to see and explore cities in an entirely new light – exploration without boundaries. 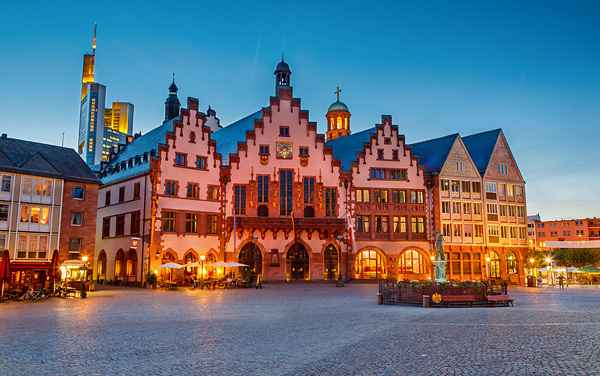 See the best of Europe as a local, not a tourist, with unforgettable experiences in France, Germany, Austria the Netherlands and more. 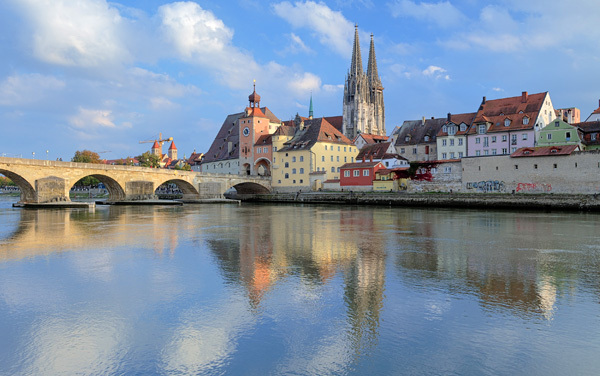 Feed your thirst for adventure with our image gallery of U by Uniworld river cruises. 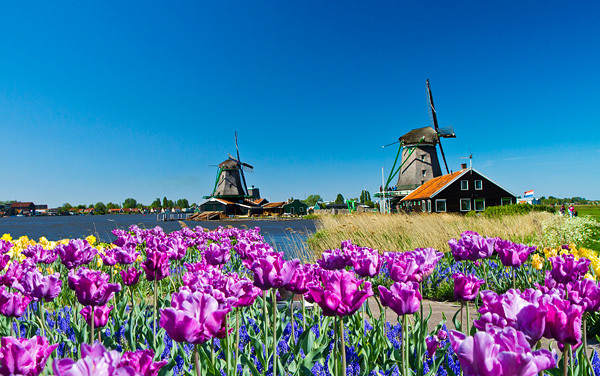 Keep in mind, this is merely a taste of the unforgettable experiences waiting for you aboard U by Uniworld! 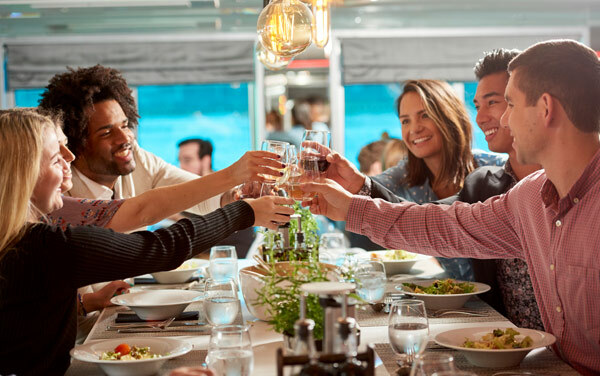 Learn how U by Uniworld creates memorable travel experiences for all passengers, including those in need of special accommodations. Locally-sourced, regionally-inspired and universally celebrated, U by Uniworld’s dining options suit even the most particular of palates. 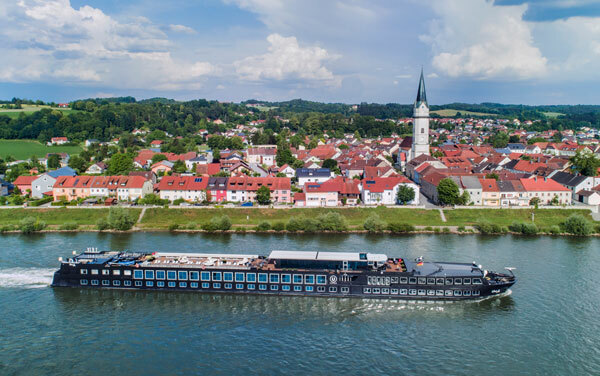 Although small in size, U by Uniworld’s intimate river ships know how to keep the party going with engaging onboard entertainment. 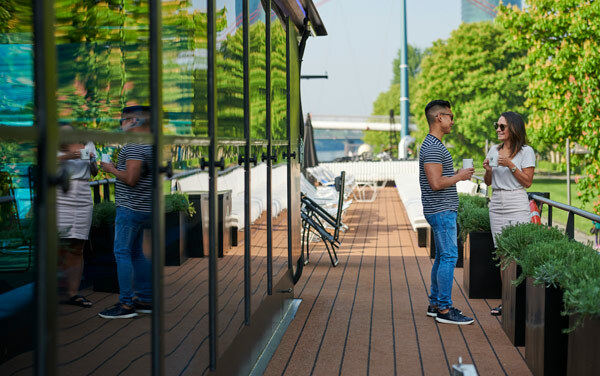 When not exploring the best of Europe on land, your U by Uniworld river ship is home—one that includes a host of onboard activities like yoga, mixology classes and more. The exception onboard service of U by Uniworld’s incredible team make sure you have an unbelievable vacation from start to finish. 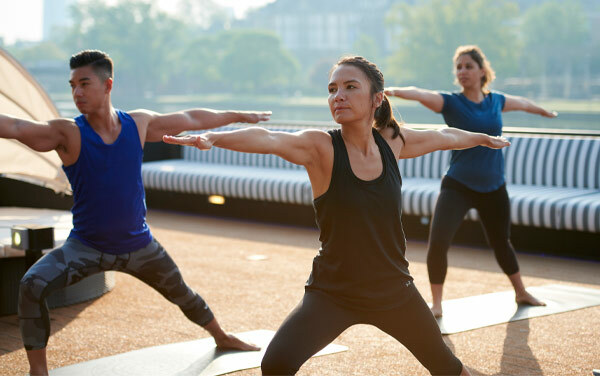 Discover how U by Uniworld makes it possible to stay active and fit on vacation, offering bike rides, a gym, spa services and more. 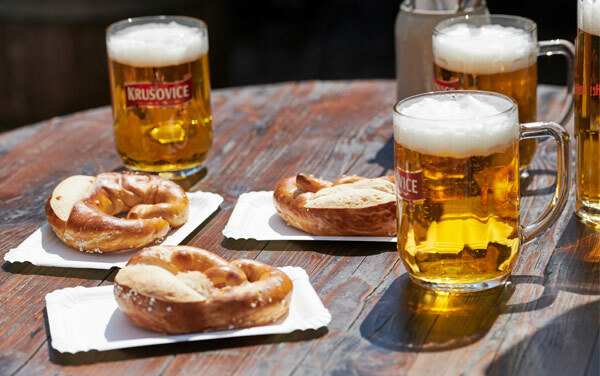 Make the most of your time in Europe by coordinating a group trip or syncing your plans with Oktoberfest, Christmas Markets or other seasonal events. 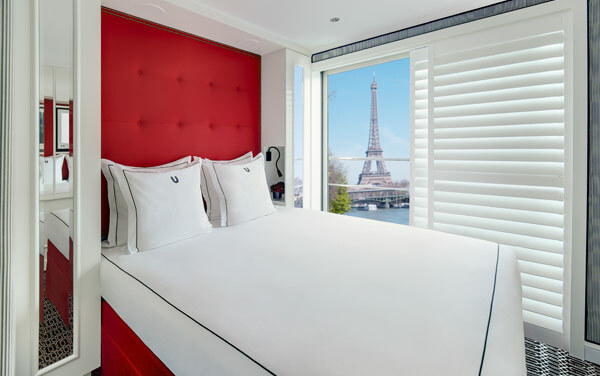 From Studios to Suites, U by Uniworld has inviting accommodations for a range of budgets and vacation styles. 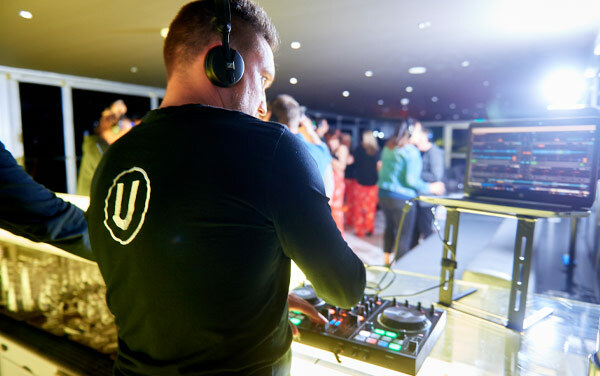 U by Uniworld’s unique vacation experience is specifically tailored for adults, and the line does not offer a youth program.